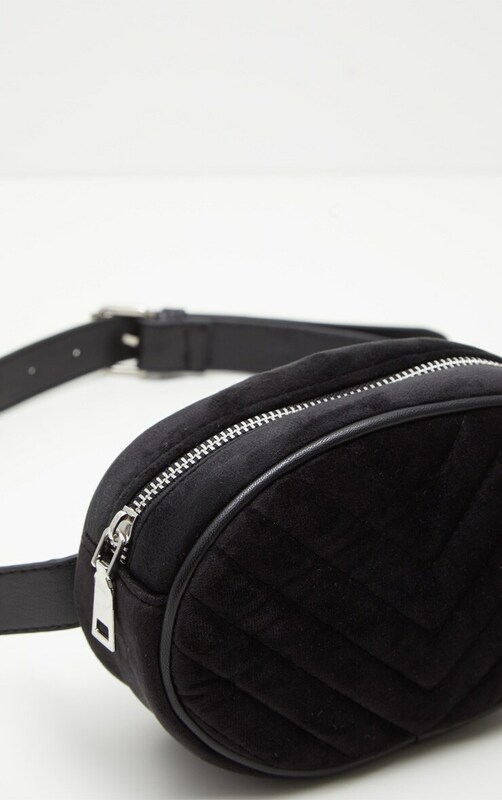 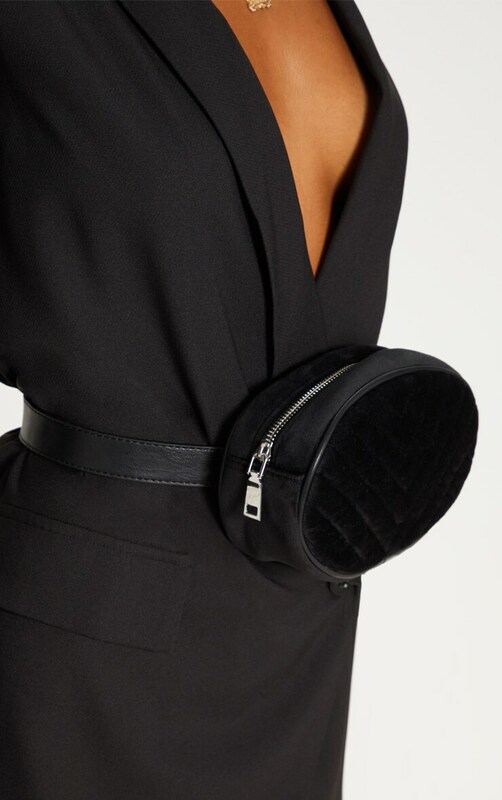 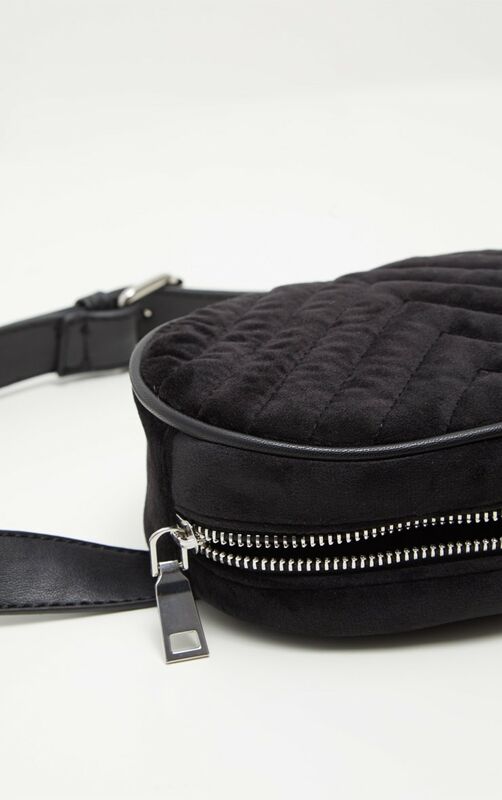 Fanny packs are a must have this season and this is the perfect pick for all occasions! 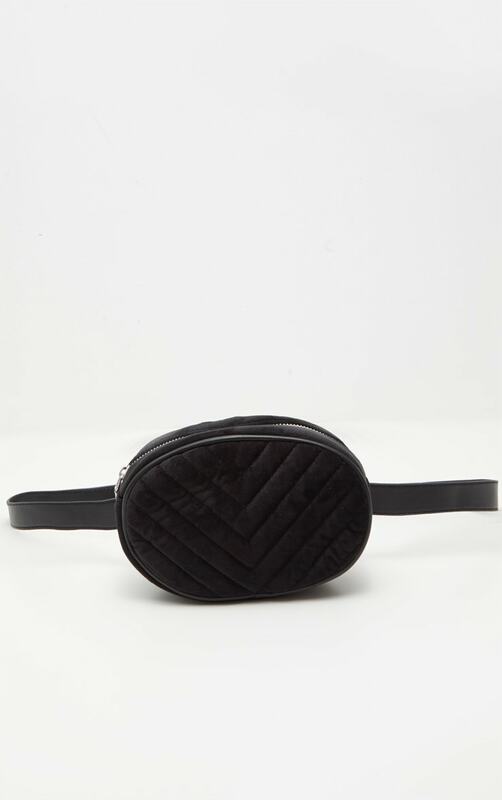 Featuring a black velvet chevron quilted material in a cute oval shape, what's not to love? 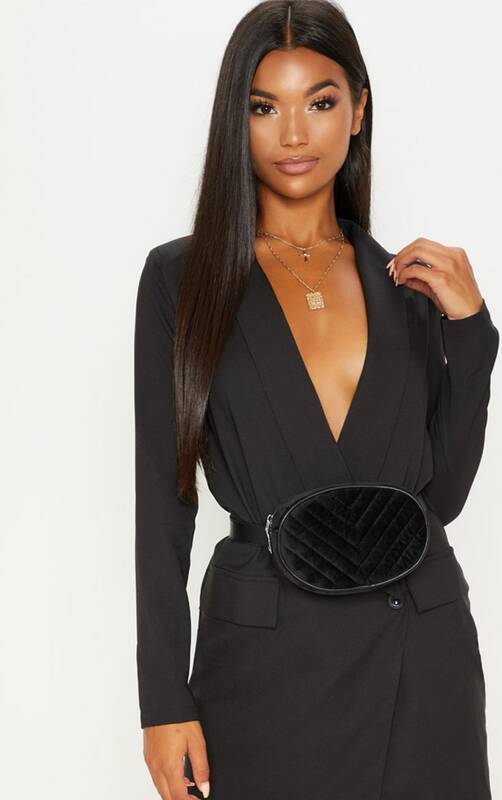 Team with a blazer dress and heels for that 'cool' night out look.